Our solid and traditional Square Marble Clock makes a handsome retirement gift or corporate award! 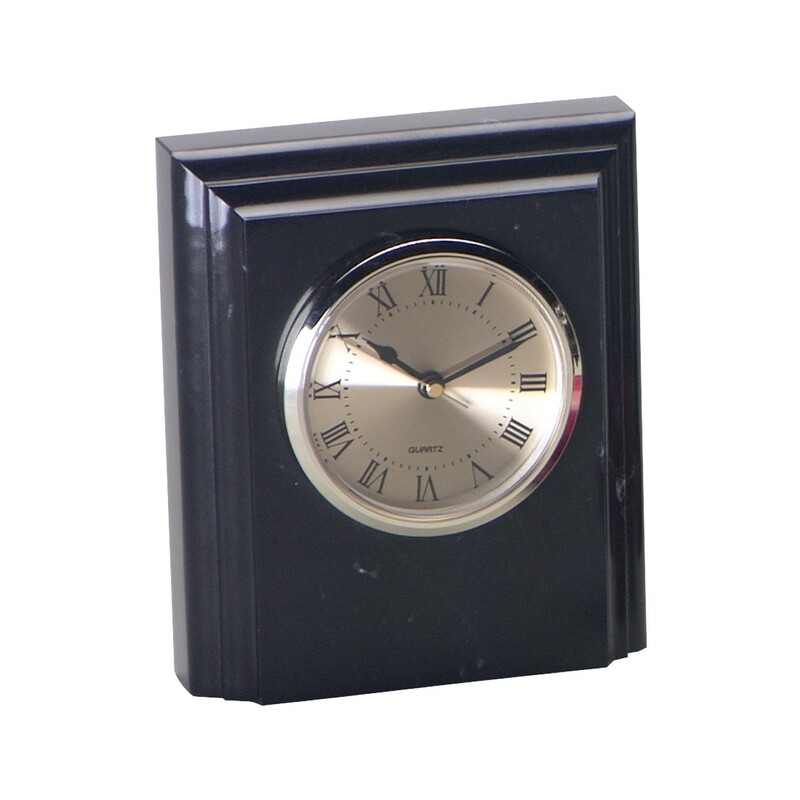 At 6" high, this solid stone clock features beveled edges and your personal engraving and logo. 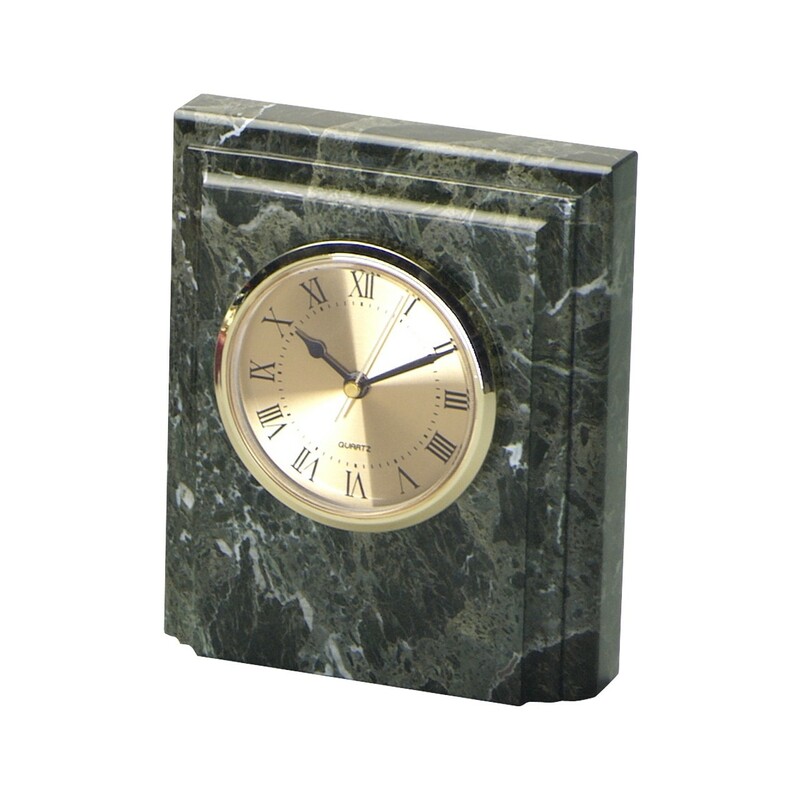 Choose from a lovely jade green marble or jet black marble. ***Note: product may vary slightly from photo due to natural variations in the marble. Production time for this product is 3 business day(s); expected pickup or shipping date is 04-25-2019. Ordering More then 50 Click Here For Large Order Quote!